Kerstin Florian products promote outer beauty through inner health, and none more so than Kerstin Florian Beauty. Our curated collection of facial cosmetics fuses beneficial actives and natural ingredients with breakthrough formulations and professional performance. More The result? Fuss-free, intuitive makeup with skincare benefits, weightless textures and radiant finishes – a true testament that beautiful skin begins with healthy skin. Vegan and cruelty-free, and completely free of oil, talc, fragrance, parabens, GMOs, sulfates and phthalates, KF Beauty finishes what our luxury facial products start, extending the benefits of skincare into your makeup routine. 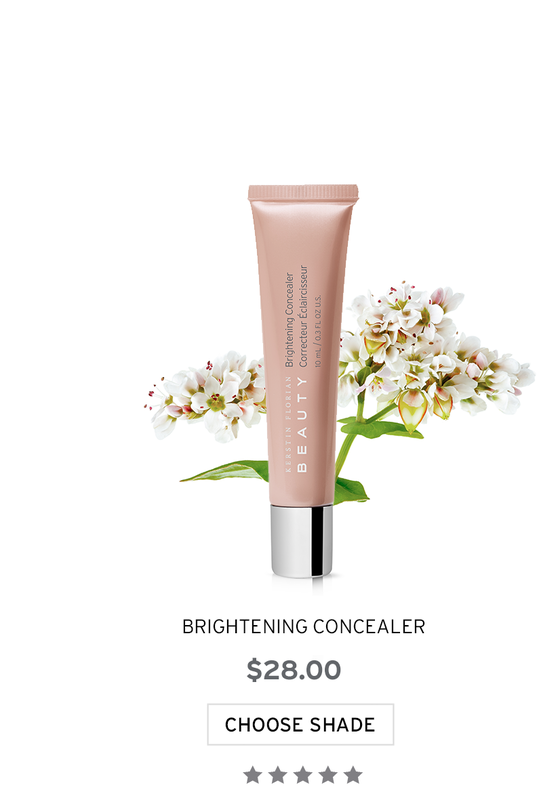 Our age-defying, blendable Brightening Concealer not only weightlessly conceals without dehydrating, but its active ingredients also work to diminish fine lines and puffiness. 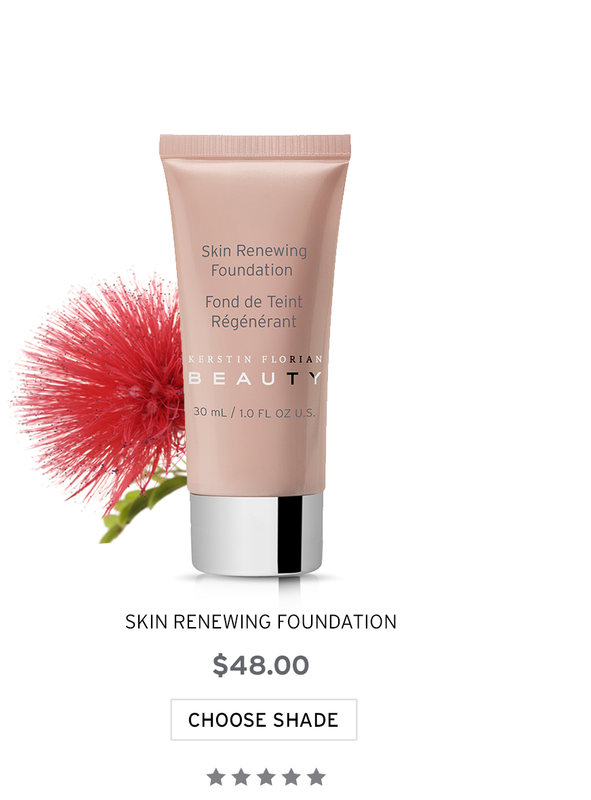 Long-wearing and buildable, our Skin Renewing Foundation provides flawless, radiant coverage with actives proven to promote healthy cell function and collagen synthesis, while our Luminizing CC Crème corrects redness and pigmentation as it provides lightweight coverage for a smoother, radiant, and more even-toned complexion. Copyright © 2018 Kerstin Florian Inc. All rights reserved.